US President Donald Trump’s pledge to pull US troops out of Syria appears to be hot air, said Dr. Bassam Abu Abdallah, director of the Center for Strategic Studies at Damascus University, adding that the US-led coalition’s operation in Syria, and particularly Raqqa, resulted in the destruction of the region’s infrastructure. However, the US State Department has signalled that it is unaware of Trump’s plan to withdraw American troops from Syria. The US president’s remark seems especially surprising in the context of the Trump administration officials’ earlier statements that a 2,000-strong US military contingent will still stay in Syria when Daesh is defeated. “There is a misunderstanding between Donald Trump, the secretary of defense and the secretary of the interior, which means that the White House is in a state of chaos,” Sharkawy opined. Speaking to Time magazine, Crown Prince Mohammed bin Salman al Saud of Saudi Arabia emphasised the necessity of the US military presence in Syria. “We believe American troops should stay for at least the mid-term, if not the long-term,” the crown prince said. According to Mohammed bin Salman, the withdrawal of US forces from the region would mean the loss of an important hub in Syria. Possibly, the Americans will use this argument as an excuse to stay in the country. Baris Doster, a political scientist at Marmara University, threw into question Trump’s pledge to pull out of Syria. 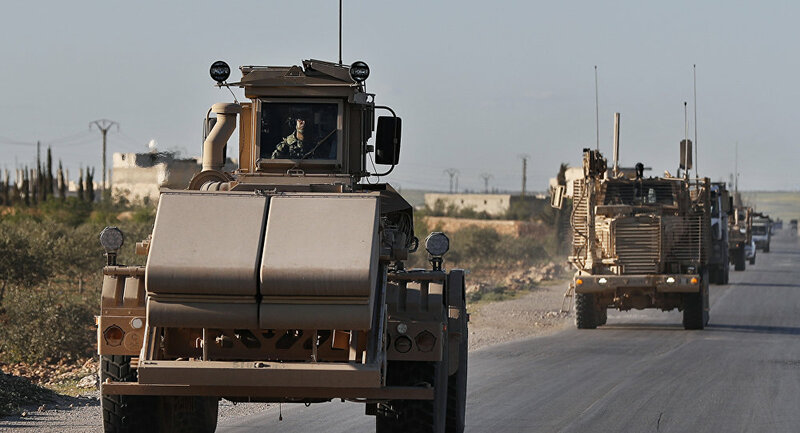 He told Sputnik Turkey that the US had spent a lot on the Kurdish-dominated Syrian Democratic Forces (SDF) and established more than a dozen bases in the Syrian territory. “To date (the US) has supplied Kurdish formations with 5,000 trucks of weapons, while planning to create a regular 50,000-strong army out of the members of these formations,” he said, suggesting that having made such investments, Washington is unlikely to leave the country any time soon. On April 3, Anadolu Agency reported citing “trustworthy” sources on the ground in Syria that the US had set up two new bases in the Manbij region held by the SDF in the face of the potential offensive of the Turkish Armed Forces as part of Operation Olive Branch kicked off in January 2018. Bora Bayraktar, a Turkish journalist and Middle Eastern affairs analyst, agreed with Doster highlighting that there is reason for the US to withdraw from Syria at the moment. “I do not think that the US will leave Syria,” he opined. Meanwhile, Trump agreed to keep US troops in Syria “a little longer” during a National Security Council meeting on Tuesday. “We’re not going to immediately withdraw but neither is the president willing to back a long-term commitment,” a senior US administration official stated on April 4. ← US FORCE ALLIES EFFORTS TO BUILD QUASI-STATE IN SYRIA?